It’s interlined with webbing, then some flannel, and lastly, the chicken and egg Michael Miller fabric. The three inner pockets for cell phone and accessories are lined with a Chinese red silk. I used a giant polished wood rooster button to close it, with extra magnetic snap inside. 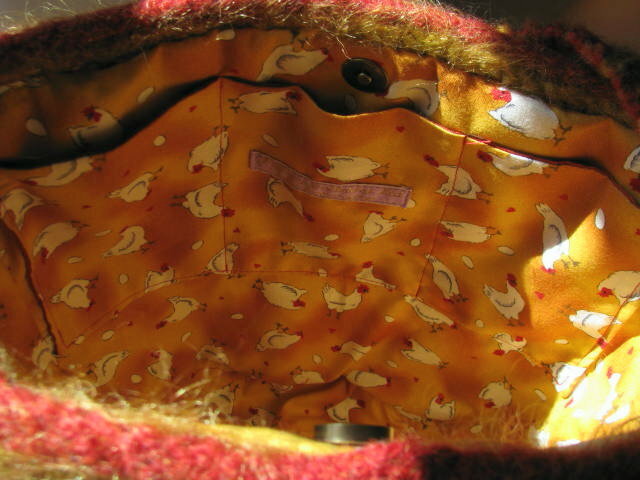 You will find more photos of the chicken or egg bag on Etsy. The tote can be worn cross-body or as a shoulder bag, strap is 26 inches. The purse itself is 11 inches deep and 12.5 inches wide at the top. A large hobo handbag, it also has the extra magnetic snap. I have more felted cross-body handbags in the works and have added my “Peace Sign Felted Tote Bag” to Wattery Totteries on Etsy just recently, too. 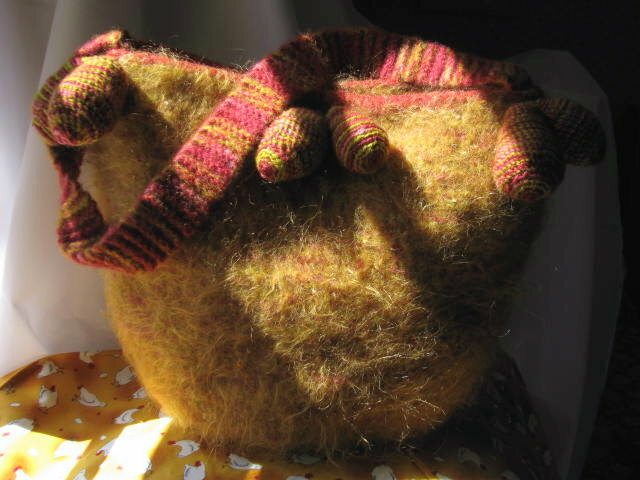 These are one-of-a-kind, eclectic and collectible felted purses. 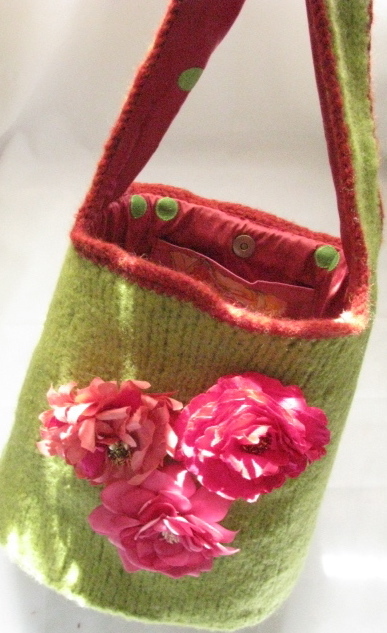 You might be interested in knitnscribble’s free pattern for the Bucket of Roses felted bag. Or this amusing hobo tote bag with a squirrel I made for our daughter. I must visit Etsy. Thanks for sharing this lovely felted cross-body tote! Thanks, Jenny, yes, Etsy is all-consuming shopping and window-shopping.